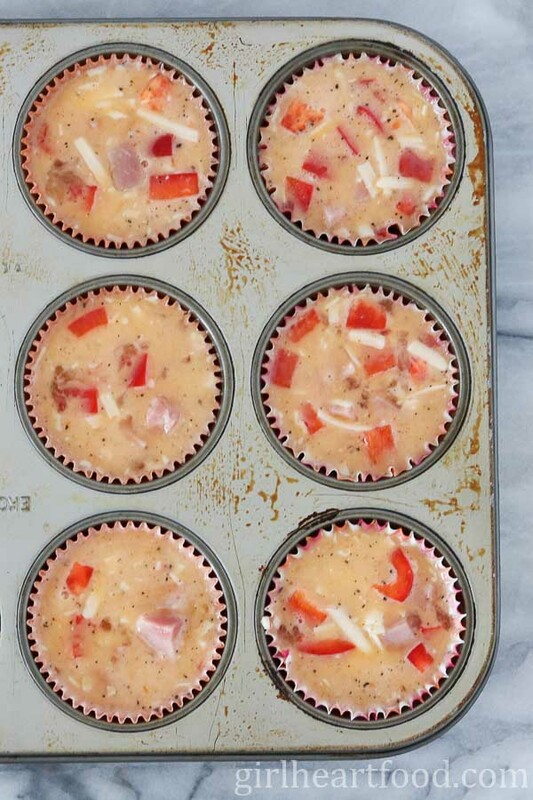 The thing that I love most about these ham and egg muffins is that I can make a batch of them ahead of time to enjoy throughout the week. 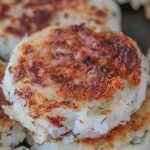 They should be enjoyed within 2- 3 days of making and, if not, they can be frozen and reheated in the oven or microwave for an easy, satisfying breakfast. When preparing these egg muffins, I filled the liners to the top. Because there’s whole egg in there, they rise a bit and are nice and fluffy. Thinking to myself – hmmmmm…..now, this is getting real. A whole month without wings, charcuterie, or steak?! So, folks, this little yummy ham and cheese muffin is off limits for me until April, but you can eat an extra one for me, ok 😉 ? Wish me luck in my meatless March escapades. I’ll try to share how I’m doing with you guys so stay tuned. Tell me, what’s your fave vegetarian recipe? Don’t forget to subscribe below to get the latest recipes delivered right to your inbox! Preheat oven to 350F. Place muffin liners (parchment variety works best) in muffin tin and spray with Pam. Lay to one side. NOTE: Depending on what type of liners you use, they may stick to the muffins (so you'll have to take your time removing). Otherwise, you can either use a silicon muffin pan OR (the EASIEST way) is to pour the egg mixture DIRECTLY into the muffin pan that has been greased with butter or baking spray. Let them cool a few minutes after making and gently run an offset spatula or knife around them to loosen. 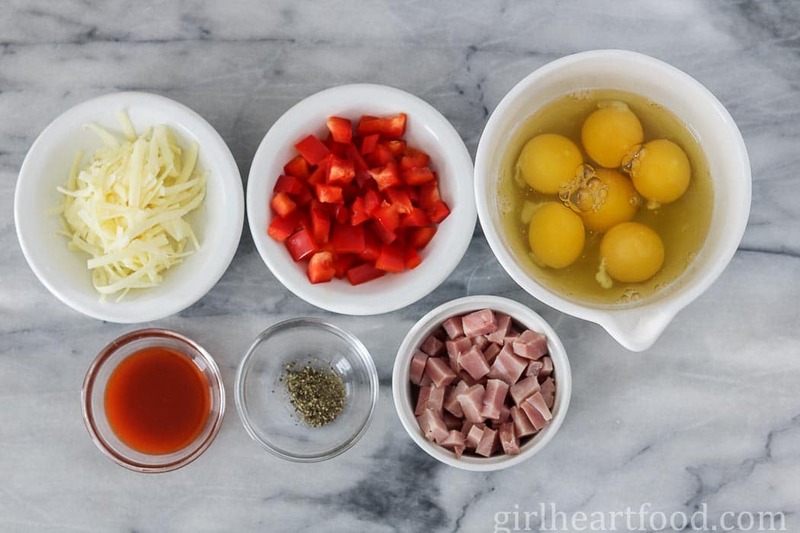 In a bowl, whisk eggs. Add remainder of ingredients to combine. 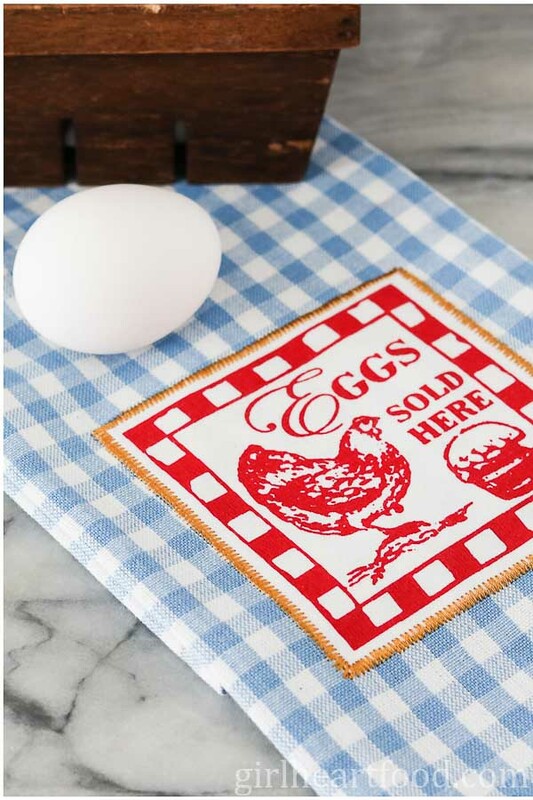 Distribute among muffin liners, filling up, and bake 28-30 minutes or until eggs are cooked through. Enjoy! I hope your meatless March is going well! I need to shake up my breakfast routine- maybe I’ll make this without the ham! Thanks Sarah! It has been interesting, that’s for sure! Hope you like ’em! I love love love egg muffins! They are truly wonderful with whatever veggies you have in the fridge! Such a yummy alternative to traditional breakfast and they can be prepared in advance too! Thank you for sharing! I have made something like this before, but it stuck all over my paper liners. I think if I make something like this again, I will use my silicone liners. But I LOVE the sound of this. Perfect for leftover ham! Oh no! Those definitely work too 🙂 Thanks Cathleen! Real talk – I’m allllll over this recipe. My body rejects sweet foods in the morning. If I skip protein and eat something sugary, I literally feel like crap for the remainder of the day. I need to eat protein and save the sweets for later. I also prep the majority of my meals ahead of time so I love the fact this recipe is freezer friendly! This recipe is right up my alley! I totally agree Dawn. Sometimes you just need to mix up things for breakfast. I love egg muffins! They are so easy and convenient. I usually make a batch and enjoy them for breakfasts or lunches during the week. Good luck with your meatless March! When I go meatless, I usually love a vegetarian chili or plant-based creamy soup! Can’t wait to see what you cook up this month! Have a great weekend! I love grab and go breakfasts, and the protein in these will keep the hangries away. Perfect! Yes! Ain’t nobody got time for hangries 😉 Thanks Kevin! I bet these are also great afternoon snacks or perfect for pre/post workout. Perfect way to get out of a breakfast rut! I love the grab ‘n go option – so great for a busy morning. I’m into these, Dawn!! Hope you have a fantastic weekend my friend! Pinned!! It sure is 😉 Thank you so much, Katherine! Have a great weekend too! So perfect for meal prep! I can’t wait to make up a batch of these for next week. Agreed, it is so easy to fall into breakfast ruts! I have either yogurt or oatmeal probably 95% of the time, at least during the week! But egg cups like this are a fantastic way to change it up, especially while getting more protein. Love this recipe! I love how easy these are, and they would be so easy to adapt with different add-ins too. They sure would 😉 Thanks Caroline! Holy yum, Dawn!! We’re in quite the breakfast rut – cherries and yogurt, cherries and yogurt, cherries and yogurt…eggs and toast on the weekend. 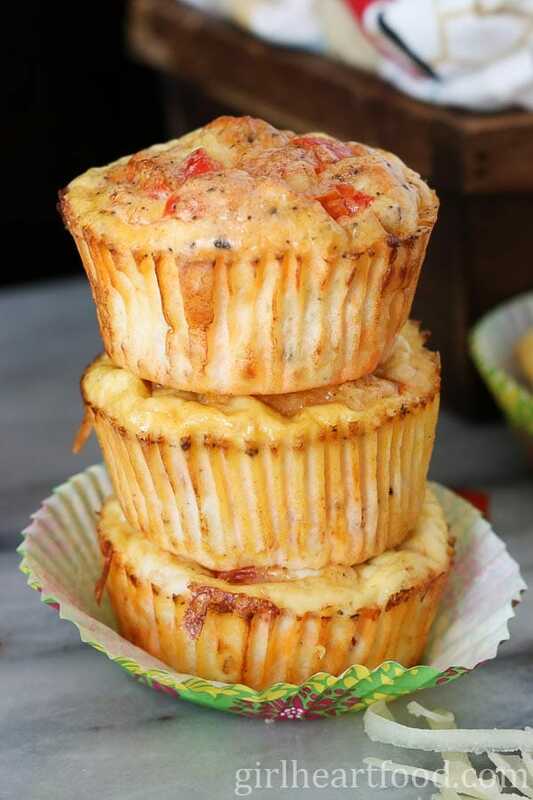 You’ve got me inspired to mix things up and make these savory beauties for our weekday mornings! Quick, healthy breakfast on the go for less than 100 calories? Yes, please! Thanks for the reminder. I need to make more easy grab and go breakfast. I LOVE little breakfast muffins like these Dawn! So quick and easy and always so tasty! These would be a hit with the hubs! Good luck, Dawn! You can do it! I love veggies, but going completely meatless would be so hard for me. 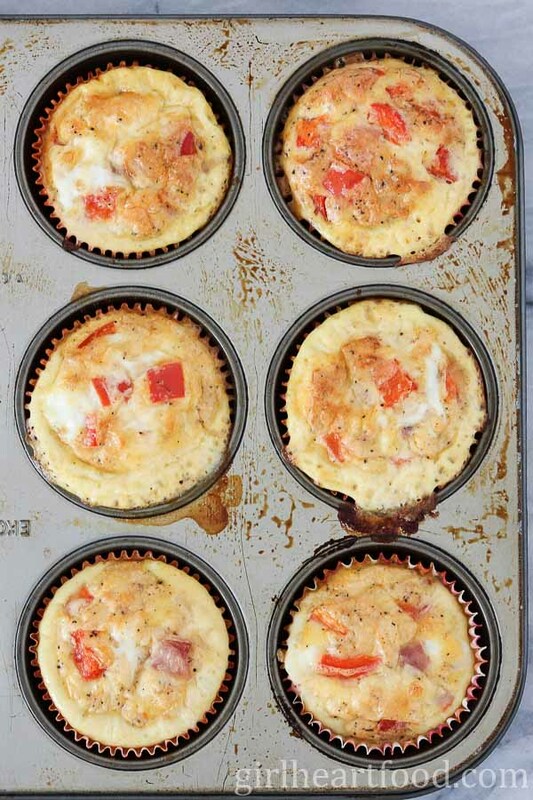 These egg muffins look so good and exactly what I need to be making for myself to grab and go in the morning. I love that they are easy to freeze, that way, I can make a big batch and make it last a while! You got this Meatless March thing! With all the delicious vegetarian options out there you’ll have no trouble at all! And I love that you could even make these muffins work for you. Adding some extra veggies will just make them more delicious :). These are such a brilliant idea and I think I need to make them on Sunday to munch on for breakfast next week! Thank you so much Kelsie! I love your optimism! Hope you enjoy these muffins 🙂 Have a lovely weekend, my friend! 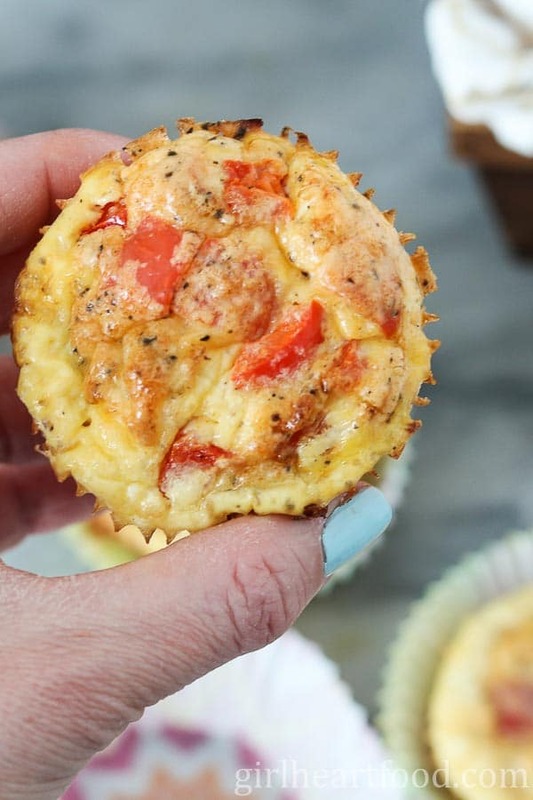 What a fun idea to create savory muffins for breakfast! I agree that the breakfast routine can become, well, a bit of a routine. This is a great way to mix it up…and it can all be prepped in advance, too. It’s like omelets in bite-size form! Best of luck with the meatless March endeavor. I’ll make sure to eat enough meat for both of us. 🙂 Hope you have a great rest of the week, my friend!